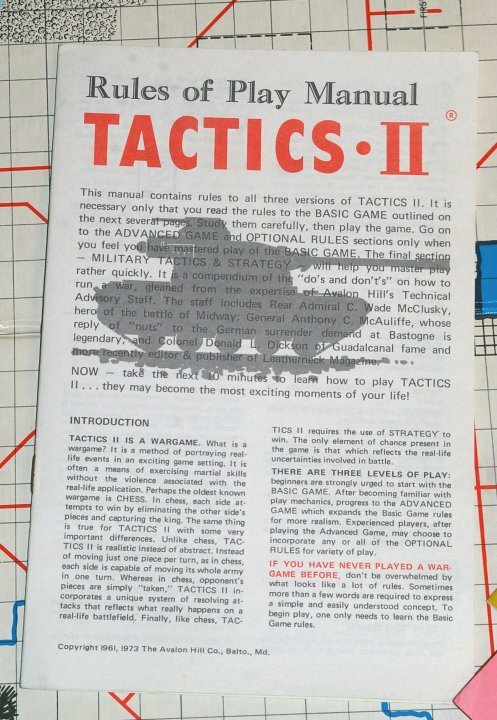 This vintage tactical board game is Tactics II by Avalon Hill. 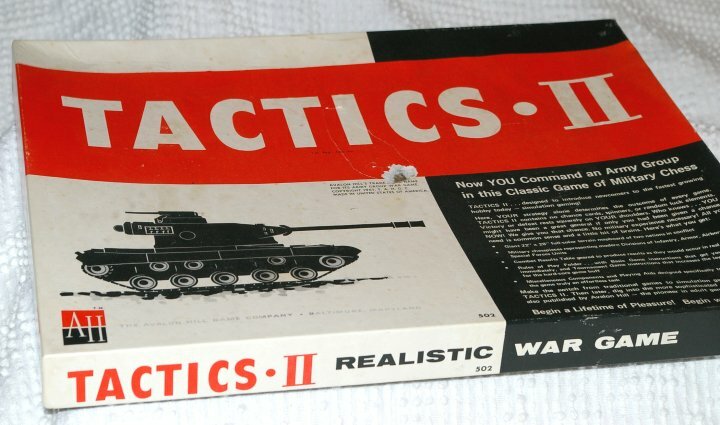 First introduced in 1958, this game was revolutionary at the time. 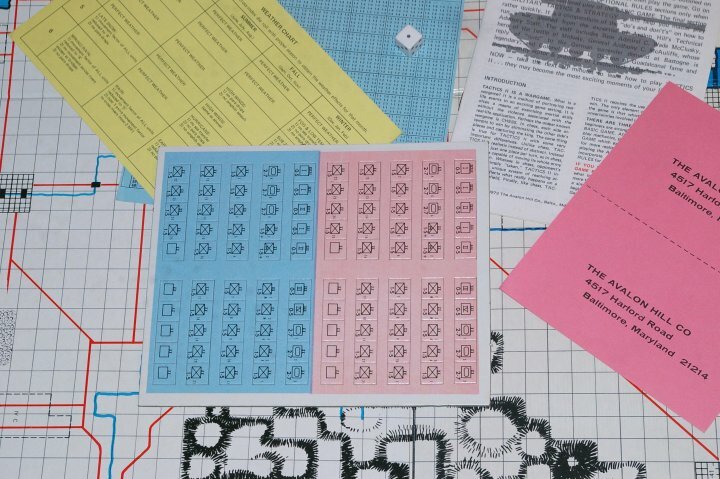 It was at the leading edge of a new war to play war games. "Simulation gaming". 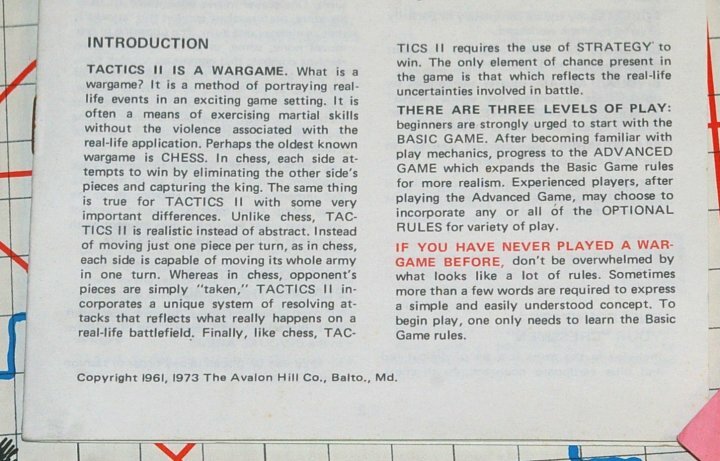 Before, most games were very symbolic, like chess. 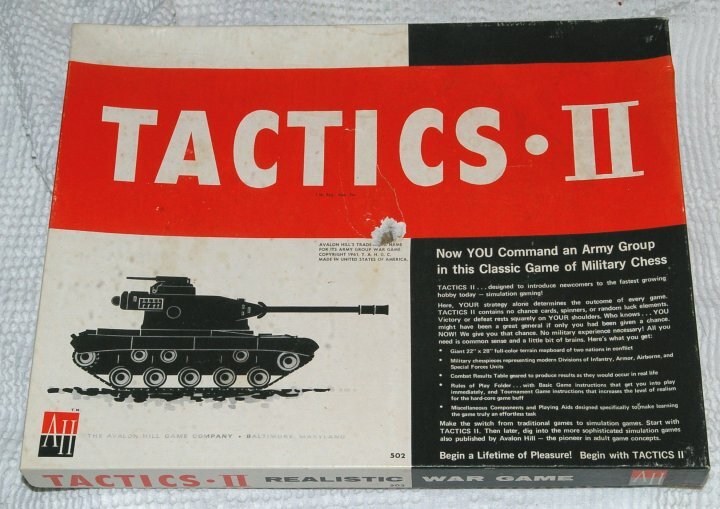 With the advent of Tactics II, rules were developed to more closely model real world situations, strategy and tactics, and the modern war gaming industry was born! This is the 1973 reprint, which is pretty much a reprint of the 1961 edition. It's a pretty cool game. 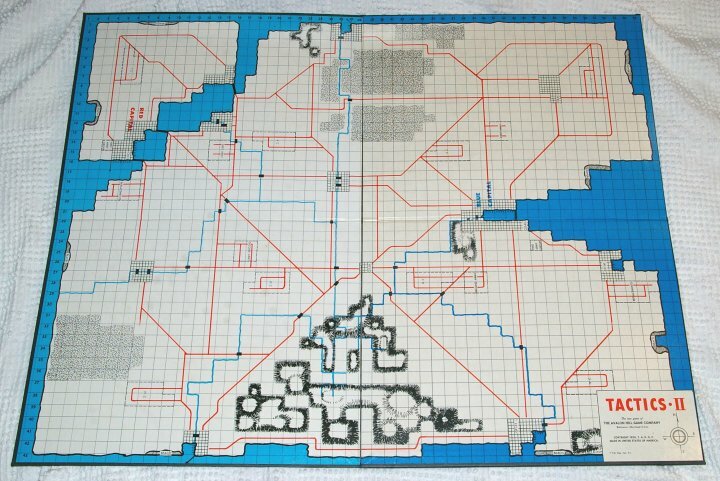 We were still playing it in the 1980s when I was into AD&D and the many games being played then. 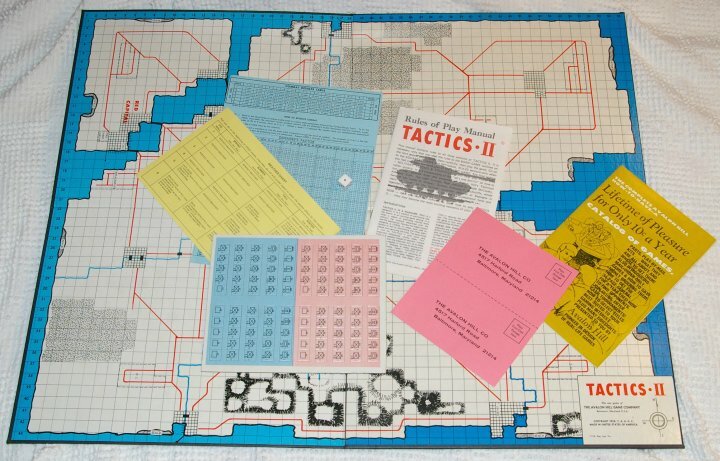 It includes a large 4-way folded game board, one six sided die, playing pieces, a rulebook, play charts, and assorted marketing materials that were included in the box. 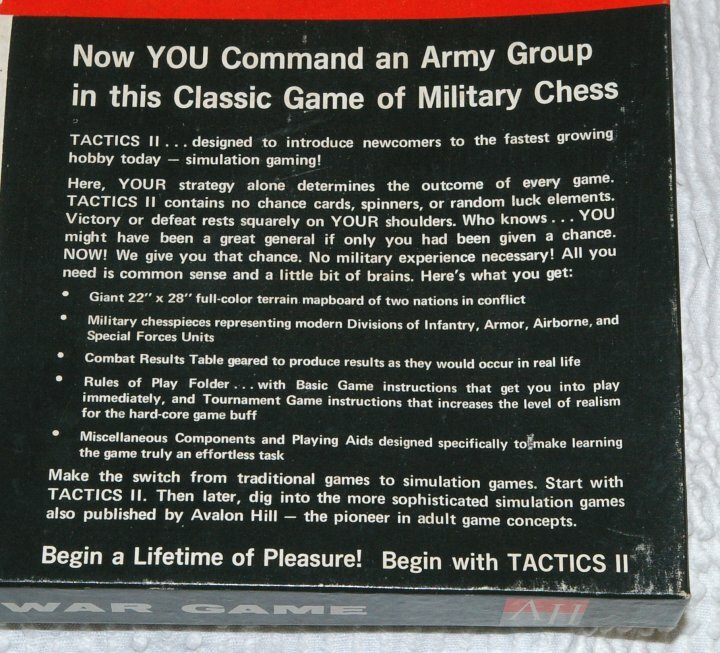 From the looks of things, it's never been played, and hardly opened. All the parts are still attached and show no signs of use. Everything inside the box is in excellent condition. It's all is crisp and bright, and appears untouched. The outer box isn't so lucky. The top half is pretty warped, and has a tear. Still, the colors are bright, the art is very attractive, and the box still provides a solid place to store the parts. 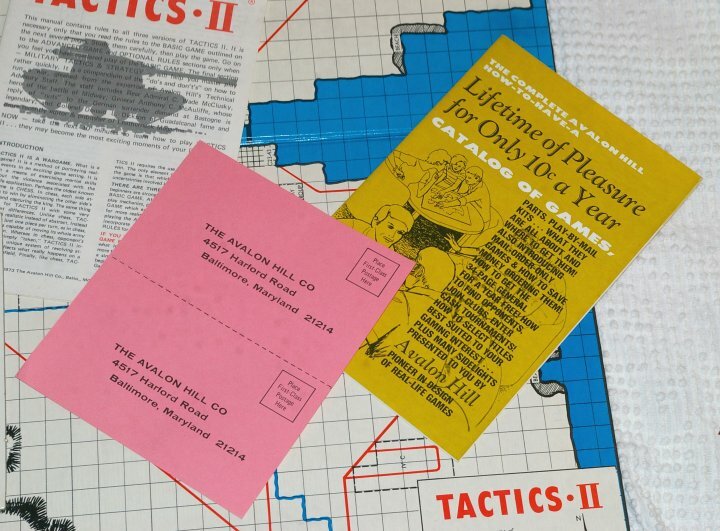 All in all, an excellent game to play or collect.